There is a need to have a connection between our caregivers and our clients. All Heart Home Care provides our clients with caregiver compatibility match assistance in correlation to different types of personalities. In the light of home care services, our clients will be able to select a caregiver that best suits their needs.  We have a wide range of clients that range from proud veterans to outgoing seniors. We have a caregiver for every client personality type. Our team of the caregivers, certified nursing assistants and home health aides at All Heart Home Care consists of employees that have different personalities as well as specified skills. This allows our clients the ability to have a more perfect match for their specific needs. This is one of the ways that All Heart Home Care is able to increase the capability and quality of the relationship between our clients and our caregivers. All Heart Home Care understands the importance of matching our clients with the right caregiver. We believe in the importance of having an initial meeting with the caregiver who will be caring for your loved one. Keeping in view of this important point, we will facilitate for our clients to have an initial meeting with our caregivers. In this way, both parties can get to know each other before the start of the services and will ensure compatibility. There may be a time when a client feels that they cannot develop a bond with a selected caregiver; if this were to happen please feel free to contact our agency and we will select a new caregiver. We understand the importance of bonding with your caregiver. We will use all available resources to ensure you are completely satisfied.